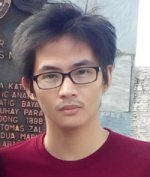 MyBenta received a two-part email on May 8, 2015 from OLX Philippines’ RJ David, accusing us of misrepresenting OLX on our website and in our SMS invites. Mr. David also threatened a possible legal action if we won’t stop our campaign. Below is his email and our open response. Hi. This is Emmanuel Rey Mariano, the founder of MyBenta. Correct us if we are wrong, but the public have known you to be the founder of the once-popular classified ads website SULIT, which was later sold to and merged with an existing OLX branch in the Philippines. We do not believe this qualifies you to be the founder of OLX Philippines; OLX was co-founded by two foreigners in 2006. Any SMS invites we sent are aimed to share with online sellers our growing online selling community, where they can post free ads without having to spend anything. It is informative in nature and is not attempting to sell any products or services for any monetary return. We have not violated any provisions of the Data Privacy Act nor the Cybercrime Act. Any seller/store contact information were available in an online selling community, open to the public, and were accessed legally in a public sphere. We doubt that scraping the net to get email addresses and sending spam emails about SULIT would constitute an act abiding by the Data Privacy Act and therefore the Cyber Criminal Act. “Our lawyers are now collecting proof against these violations with the help from our loyal users. MyBenta’s community feedback on our homepage provides a space for the concerns, complaints, suggestions, and compliments of our members. We respect freedom of speech and expression. Unless the comments are abusive and unlawful, we will not restrict or censor our members. Just as OLX Philippines have all the right to implement its own policies such as removal of feedback system, OLX forum, Seller Profile Picture, and charging its users P100-P700 per ad, we, at MyBenta, also have the right to gather our community feedback, sentiments, and experiences in selling online. You have no right to demand that we take our site’s content down. 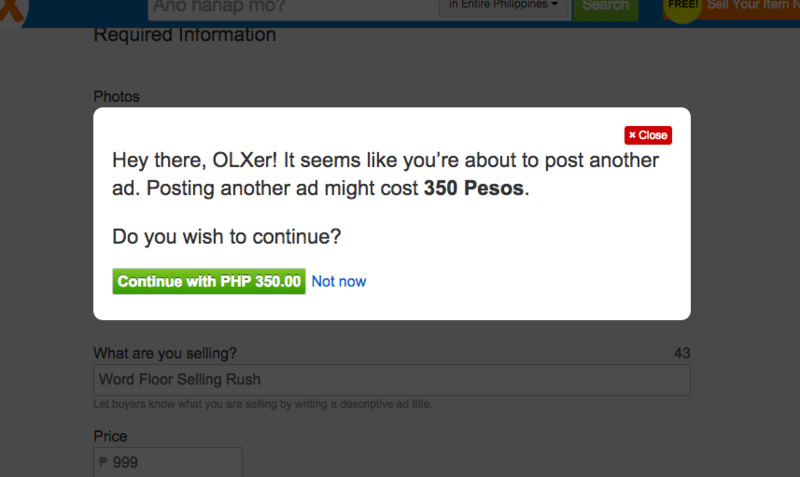 OLX Philippines already merged with AYOSDITO and started monetizing from a pay-per-ad posting scheme. Why would you try to suppress our efforts to share our website, which offers online sellers unlimited ad posting for free? Intimidating us with potential lawsuits to stop us from sharing our free classified ads website casts doubts on your intention to protect your members’privacy or if you are just leaving them with no choice but to pay to have their ads posted on OLX Philippines. To better put this into context, we received a recent community feedback from a seller, who earns a living solely from selling online. With 500 ads posted on OLX, he said that he is being required to pay P100 per ad, amounting to P50,000 per month. The seller said that he would rather rent a mall space with that amount -- and we agree. Posting online ads should always be free. We admire your concern to protect OLX brand, but we are more concerned to protect the livehood of online sellers. We will continue to support small Pinoy online sellers and entrepreneurs. Our online selling community cannot be silenced and MyBenta is not for sale and cannot be bought. We hope that someday, Mr. David, we will share the same cause.